Trash tech workshop is an open electronics workshop, where discarded electronic equipment will be transformed into sound producing devices. The workshop will present the working process of Association for Experimental electronics, audience is welcome to participate! Our medium is electronic waste. 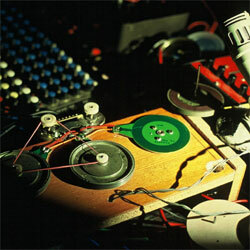 We collect old consumer and professional electronics, tear it apart or modify to produce or modify sound. In PixelACHE we will concentrate on presenting this process. Process is open, anybody can participate. We call the process experimental electronics. With experimental we point more at tradition of experimental electronic music, than scientific repeatability. We want electronics to be creative, interesting, unpredictable and fun.